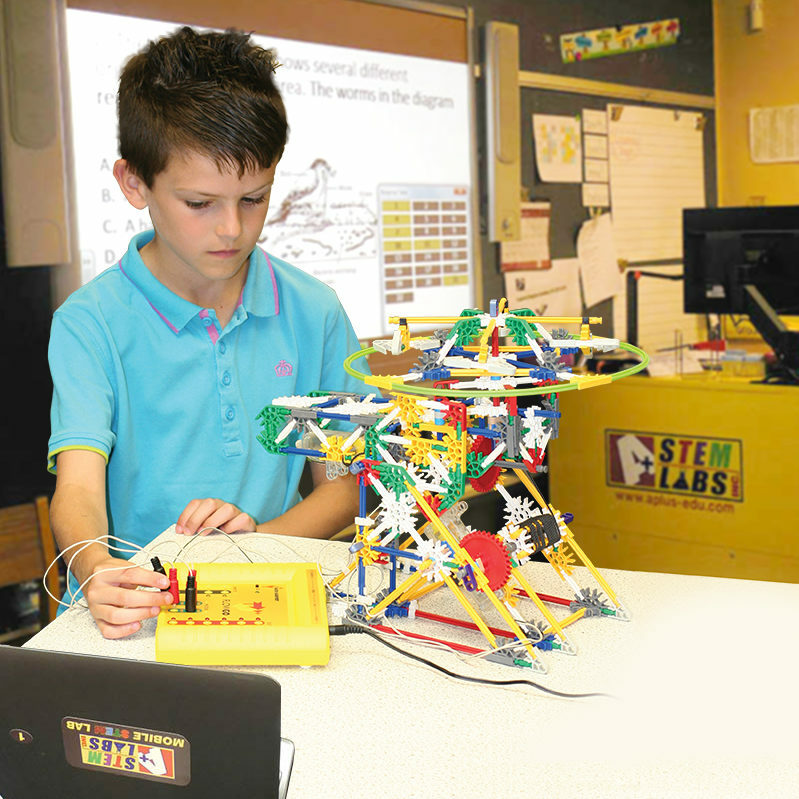 A+ STEM Labs believes that hands-on learning makes for memorable learning and greater retention of concepts. Our labs encourage students act like “real scientists” by participating in experiments that use data they personally collect and sample from the world around them. 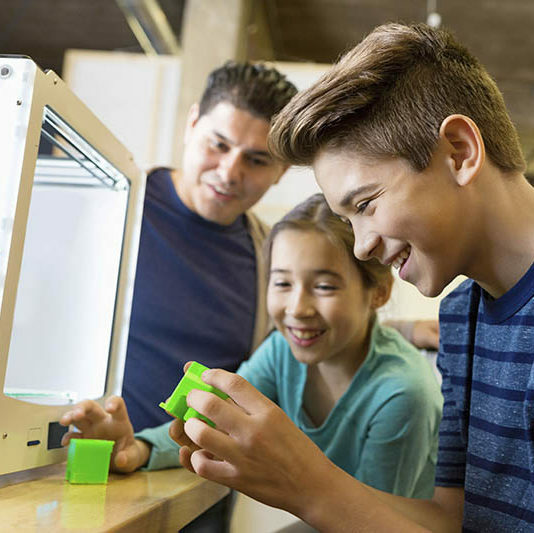 All our STEM Labs for Science feature scientific probes and data loggers offered in configurations tailored for the needs of Elementary, Middle or High School students. How do different surfaces and colors reflect light? Use light sensors to make measurements and compare. How well do different sunglasses block out light? Use light sensors to take measurements and compare. How do different activities affect your heart rate? Use the heart rate monitor to measure changes in your pulse. How do different objects leave a heat signature? Use an infrared sensor to measure the heat radiating from objects and left behind by them. How well does the body regulate temperature? Use a heat sensor to measure body temperature as it is exposed to changing environmental conditions. Does voltage and current vary with load? Connect a voltage sensor to a wind turbine and take measurements as the load changes. Chart the relationship. Physics Lab: What is the relationship between kinetic and electrical energy? Use a spinning magnet and a voltage sensor to collect readings, then see how the power varies with speed of magnet, current and voltage. Chemistry Lab: What happen during an endothermic reaction? Conduct a calorimetric experiment within an aqueous solution while measuring temperature changes. Biology Lab: How do different environmental and physical factors affect a plant’s ability to conduct transpiration? Use a humidity sensor to find out. My students feel like real scientists, using the tools real scientists use.